SLOW MOTION: Camera facing the back of a young adult brunette woman with hat and backpack spreading her arms and enjoying the seaside view while standing on a cliff. hd00:45SLOW MOTION: Young adult brunette woman with hat and backpack spreading her arms and enjoying the seaside view while standing on a cliff. 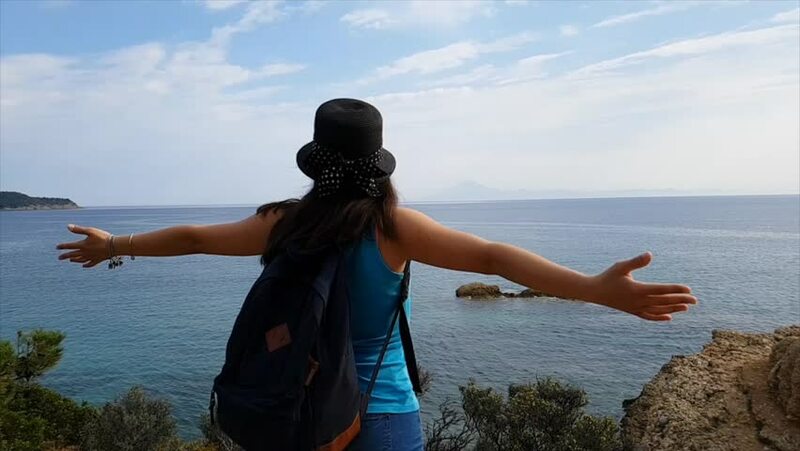 hd00:44SLOW MOTION: Camera facing the back of a young adult brunette woman with hat and backpack spreading her arms and enjoying the seaside view while standing on a cliff. hd00:24SLOW MOTION: Young adult brunette woman with hat and backpack spreading her arms and enjoying the seaside view while standing on a cliff.